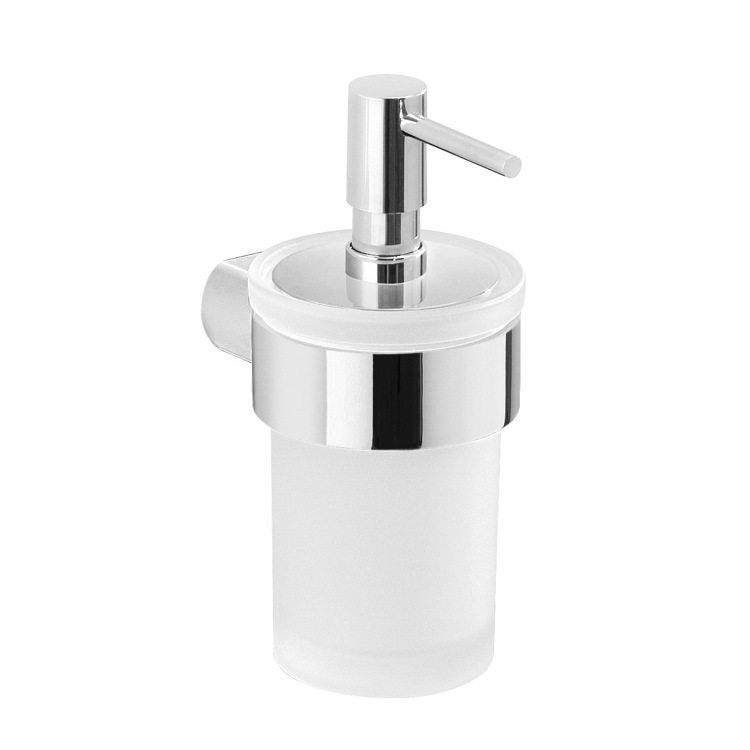 Modern wall mounted soap dispenser with holder made out of cromall in a chrome finish. The actual soap dispenser is made out of glass. 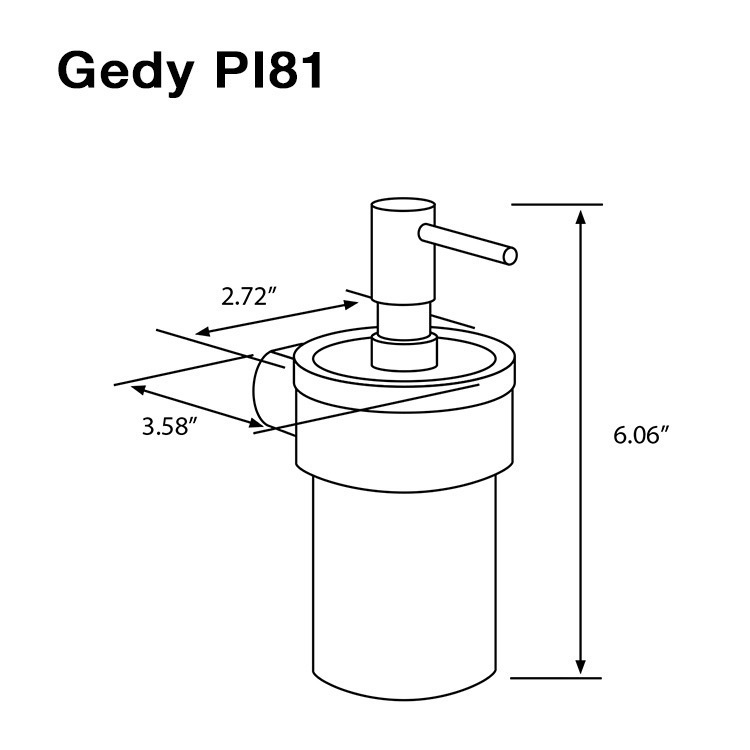 Designed in Italy by Gedy.